"Think outside the box" has become a cliche. We hear it all the time mostly referring to work situations. The thought behind this phrase is to be able to come up with innovative ways of solving problems. How did we get boxed in the first place? This somehow indicates a diminishing of creativity. Living outside the box, this is another dimension of the box minded. 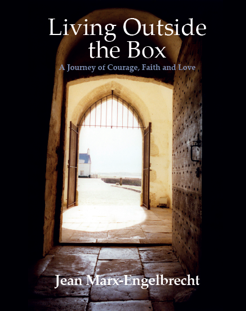 Our story is about our own journey, of not allowing ourselves to be boxed in by perceptions of others and how we should have functioned especially in ministry. Having said that, we should not deny the moral, ethical and biblical standards - these should be in place without detracting from our creativity. Living outside the box allowed us to be who God designed us to be, complete and whole through His grace, love, mercy and forgiveness. Living outside the box allowed us to fail without feeling a failure, to win without displaying self-glory and to discover that on our journey God never let us down. This publication has over 250 pages and more than 40 photographs. This book will make you laugh, you may even have a tear in your eye but hopefully when you read the last page it will leave you with a feeling of hope, and the knowledge of knowing with God all things are possible.